Marketing can be a simple concept to grasp, but marketing isn’t easy to implement effectively. Even more so now when the digital world and everything else in between grows more and more competitive. Marketers and digital agencies are constantly finding newer and better ways to reach audiences and leave lasting impressions. One of the techniques you can use to maximize your brand’s reach is generational marketing. Your target audience is divided into several age groups. Knowing this, you have to learn about their preferences, their interests, their online behavior, and the content they’re most interested in seeing. When you’ve identified them, only then will you be able to create tailored marketing strategies that will reach your intended audience. What are the different generations existing today? It’s not a surprise when we say that these generations behave differently from each other. They all have different values and mindsets. Numerous statistical research about this specific topic has been conducted over the years. And as a business owner, you can use this type of information to your advantage. Understanding the way these generations behave will ultimately help you improve customer experience. Born between 1925 and 1945, they were children during America’s worst economic conditions: namely, The Great Depression, Dust Bowl, and even World War II. These social and economic crises cultivated this generation’s conservative and cautious behavior. While marketing firms tend to largely disregard the Silent Generation’s participation in the overall pie, it doesn’t rule them out. There are over 28 million of them still around. And that alone is enough to tell us that they shouldn’t be excluded from our marketing strategies. Companies can still use digital marketing strategies to reach them. A fair number of them still use the internet (59%). Most of them read their emails (88%). And a good number are using social media (46%). Aside from marketing to them via email, more traditional means of advertising and promotion will still help you win the Silent Generation’s trust. This generation also loves hard copies. They grew up reading newspapers and being largely exposed to print media. Marketing in publications can still be useful. Aim for appearing trustworthy to this cautious lot. Avoid using blinding and loud colours, and don’t forget to use readable type sizes. And lastly, invest in advertising on television. The Silent Generation watches more than 51 hours of television per week. This number is remarkably higher than the other generations, and statistics show that they don’t skip over commercials either. Baby Boomers were born between the 1940s and the 1960s. After their younger counterparts slowly introduced them to using technology, this generation has embraced it. Although a large number of them misunderstand social media marketing ads, they’re very receptive to direct sales and marketing tactics. They are fond of speaking to real people. These behaviors make upselling to them quite easily. Marketers have a lot of options to reach the Baby Boomers. They may be an old generation, but they aren’t strangers to the internet. Even if they prefer speaking to people in person, a significant number of them still shop online. In fact, 70% of Baby Boomers make a purchase on Amazon at least once per month, and more than half of them use the Internet 15 hours per week. This particular generation conducts research on the products they buy and the services they avail of. So make sure to provide as much information about your products and services as possible, to make it easy for them. In addition to this, give them a way to contact your customer support team over the phone. They will still visit your physical store locations to speak to your customer representatives, but that makes them one of the most engaging consumers to interact with. Born between the mid-1960s and early 1980s, these group of people is divided into two factions. This is because a large age difference exists between the oldest and the youngest members of Generation X. The oldest people who belong to Generation X have traits very similar to the Baby Boomers — the generation that precedes them. By contrast, the younger members of this generation share characteristics comparable to the Millennials — the generation that everybody is strongly familiar with. For this reason, marketing to Generation X can be quite tricky. By now, Generation X is typically between 35 and 50. This means you can get away with traditional mass media marketing, but at the same time, you can incorporate new ones as well. This generation still holds an appreciation for the classic snail mail. Many members of the generation still have an affinity for sending hand-written cards for both personal and professional reasons. Similarly, people in Gen X check their emails regularly. In fact, 58.2 billion Gen X-ers use the internet frequently, so the chances of them seeing your messages are high. They’re no strangers to videos and social media, either. 45.7 million members of Generation X participate in the workings of social media. Most of them are attached to Facebook, though. It’s the platform that houses a large number of them. Now we talk about the most popular generation that most marketers are reaching for today. Born between the mid-1980s and the mid-1990s, Millennials grew up in the world of traditional media and saw the rise of rapidly advancing technology. Compared to previous generations, Millennials are more conscious of the world around them. They like businesses with solid corporate social responsibilities. Furthermore, this generation has adapted to technology much earlier and faster than the generations that preceded it. 56% of Millennials are the first people to try out improvement in technological innovations. Because they were easily introduced into the realm of technology, the Internet is the best medium of communication to use when you want to reach out to this generation. 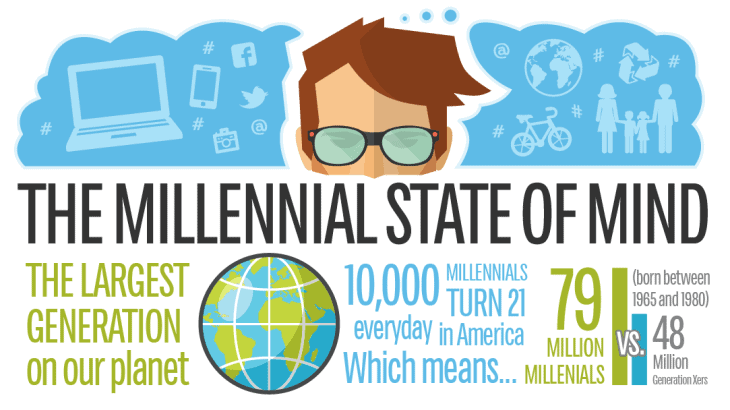 Millennials consider themselves as content creators. They love posting original photos and videos on the internet, especially on social media sites. In addition, this generation seeks entertainment from brands and want to be a part of the creation process. Social media: As an integral part of every digital marketing campaign, this is the most common platform marketers use to reach the millennials. But because there are so many social networking platforms, it’s best to reach them where they primarily are. Most Millennials thrive in Facebook and Twitter. YouTube: Self-made creators gravitate towards other successful creators. Video content is popular in every generation, and millennials aren’t any different. Text-messages: Millennials carry phones wherever they go. And they send more text messages than any other generation before them. User-generated content: Millennials prefer being involved in the creation process of their trusted products. They read product reviews and customer feedback and dish out their own. Other names for Generation Z are the Post-Millennials, the iGeneration, and the Homeland Generation. The oldest members of this generation are just graduating from college, and they exhibit buying powers like no other. This is the generation that won’t stay still. One misstep and Gen Zer’s tendency to bounce from one social media platform to the next will leave you in the dust. Unlike the generations that precede them, Generation Z is comprised entirely of digital babies. They are socially aware, technologically adept, and participate actively online. Generation Z has global aspirations, and draw inspiration from all over the world. A large number of Generation Z members are on the internet; particularly Instagram, Snapchat, and YouTube. They support brands that stand for a cause. Because they grew up recognizing diversity in every human being, they have an affinity for brands that uphold positive messages and humanitarian initiatives. 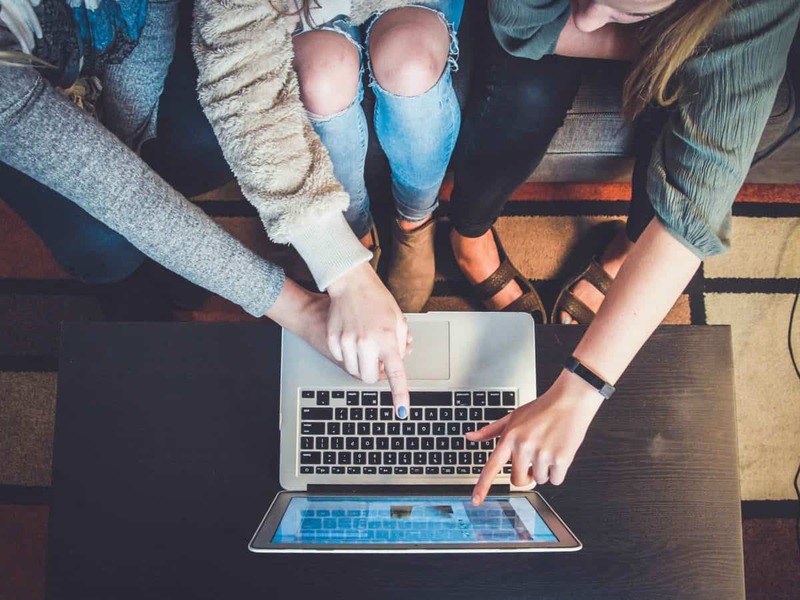 Simply put, tailored content marketing strategies are essential if you want these different generations to crowd around your brand and become your loyal customers. Successful brands and businesses understand their customers. They know who they’re marketing too. They understand what their target market likes and dislikes. Your products and your services should add value to your customers’ lives. Consequently, your marketing must reflect that kind of thinking. But with your target audiences ranging in age, it’s time to put a little more effort in putting your brand forward. Lone social media campaigns aren’t going to cut it anymore. This calls for some generational marketing! 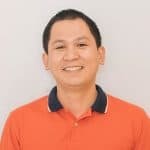 Al Gomez is the President and Founder of Dlinkers — a company dedicated to providing complete digital marketing services. With more than ten years of experience, he enjoys supporting smartpreneurs like himself to achieve online success.